A million of thanks to my ever talented friend Twinkletoe who renovate and make this site looks fabulous and very beautiful. 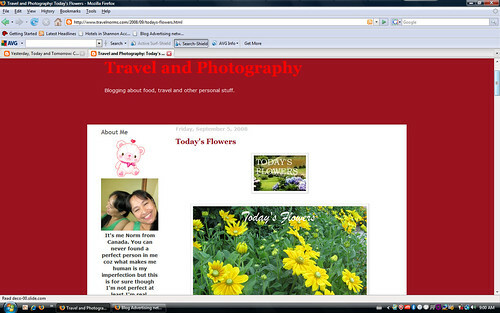 I’m so happy that you gave so much time and efforts to modify my blog. To my old and very successful template I’ll be missing you, babe. I can’t really forget you my dear old template because you gave color, excitement and happiness to me. I got page rank 3 and then a page rank 1 during those times I used this final sense template. And I'm happy that you like your new layout.